Respectfully achieved. I now have the authority to find orphan children using the State form for white children & making stipulations in orphans to Education, and amount to the received by the person bound at the signature of the indenture. Such as seems to yourself advisable charges 50 ct for stamping the papers. Papers forwarded to this officer will hereafter be inifed on the 1st fold. 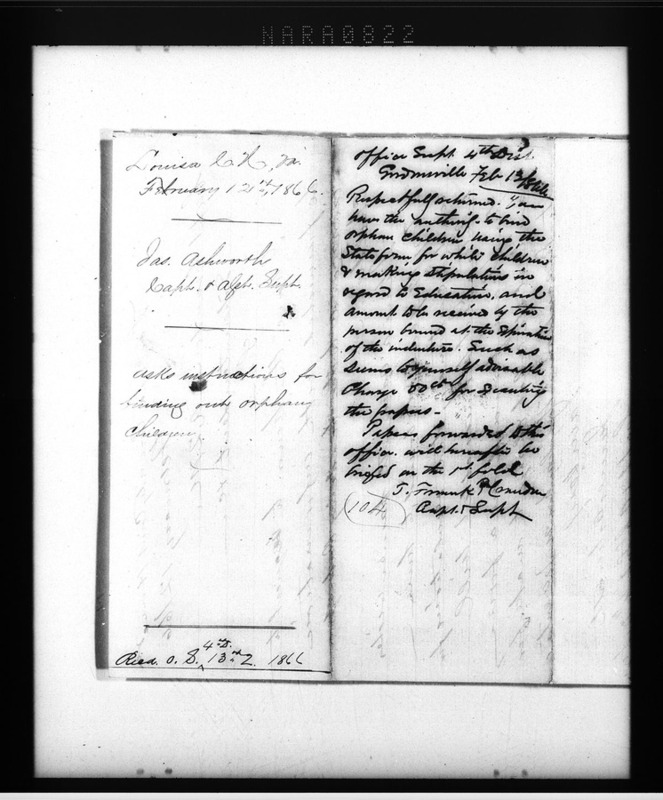 “Freedmen's Bureau Records 09360822,” Piedmont Virginia Digital History: The Land Between the Rivers , accessed April 25, 2019, http://piedmontvahistory.org/archives14/index.php/items/show/1087.